Yamilet Neninger, M.D., Principal Investigator/Sub-investigator –Dr. Yamilet Neninger pursued her Internal Medicine internship, completed her Anesthesiology residency and her lnterventional Pain Medicine Fellowship at the University of South Florida, she also participated at several clinical research studies at H. Lee. Moffitt Cancer and Research Institute. After the completion of her training Dr. Neninger held an academic appointment at the University of South Florida, College of Medicine. 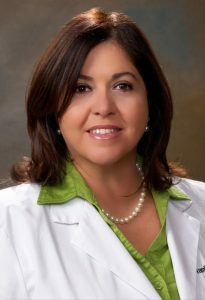 She is a dedicated and experienced pain management specialist and anesthesiologist who has been a pillar of the Tampa Bay area for the past 18 years. Since 2004 she has been in a very successful private practice, culminating in her founding of Pain & Wellness Institute in 2007. She practices pain medicine with a focus on the patient rather than the disease; her approach combines patient education and empowerment using prevention, alternatives therapies, the latest medications, and cutting edge interventional procedures to provide relief for her patients. Dr. Neninger is a member of American Society of lnterventional Pain Physicians, Florida Society of lnterventional Pain and American Academy of Integrative Pain Management. She has treated thousands of patients from the Tampa Bay and beyond and is consistently rated the top pain physician on multiple surveys.